Unique Tiles and Design Ideas — Structural Skins , Tiles for designers and architects. This tile released in 2018 is really something different. An original ‘3D’ chevron shape with several colours available to be used individually or mixed. The shape even interlocks in a different way to give another style pattern. Find out more about the Bohemia range here. The Fragment range incorporates two shapes which can be used individually or within this interlocking pattern. Italian porcelain in four colours (white, light grey, dark grey and blue) with a high level slip resistance make this a perfect option for both commercial and domestic spaces. Find out more here. Interesting tile design isn’t always quirky and we can always discuss ways of adding interest to more classic styles. This range , Planks, is a great example as it uses the highest quality wood effect tile production to create this stunning pattern on an 80x80 porcelain tile. 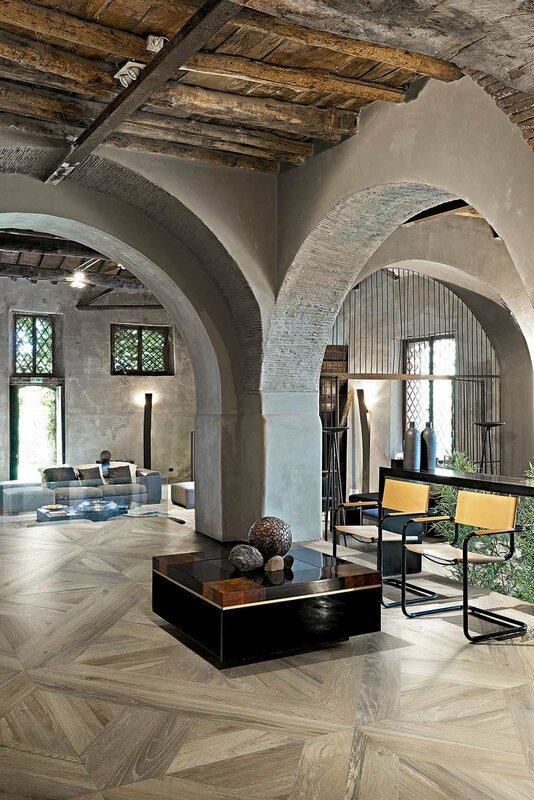 It’s available in more standard 20x120 planks as well and the tiles can be combined and used individually or in different patterns like a long herringbone design. 6 rich colours are available in this range which is of the very highest quality on the market. Find out more here. A 20x20 porcelain tile range evoking the feeling of slate whilst instilling a touch of style and glamour with the feature options. 3 tones, 4 finishes and a range of decorative tiles as well as good slip resistance make this a perfect tile for commercial projects as well as being a very nice option for domestic design projects. Find out more information here. Our Pick Metro range is a clever play on the classic metro tile in 5x15. It’s available in a wide range of colours, some of which you will see further down this page, including blues, pinks, aquamarine and shades of grey, white, yellow and red. It’s also available in a larger floor tile option. More information here. is a 20x20 porcelain tile available in these 10 patterns as well as the 3 plain colours that make them up. Can be combined or used individually, they are suitable for both wall and floor in both light commercial and domestic projects. Contact us for more information here. is a porcelain tile range of 20x20cm cement coloured tiles paired with decorative coloured tile pieces. High slip resistance and durability makes this suitable for commercial floors and walls as wall as domestic use. For more information take a look at the product page here. Incredible range of ceramic tiles available in several pastel tones as well as metallic options. Suitable for use on wall in both domestic and commercial settings. Check out the other options here.